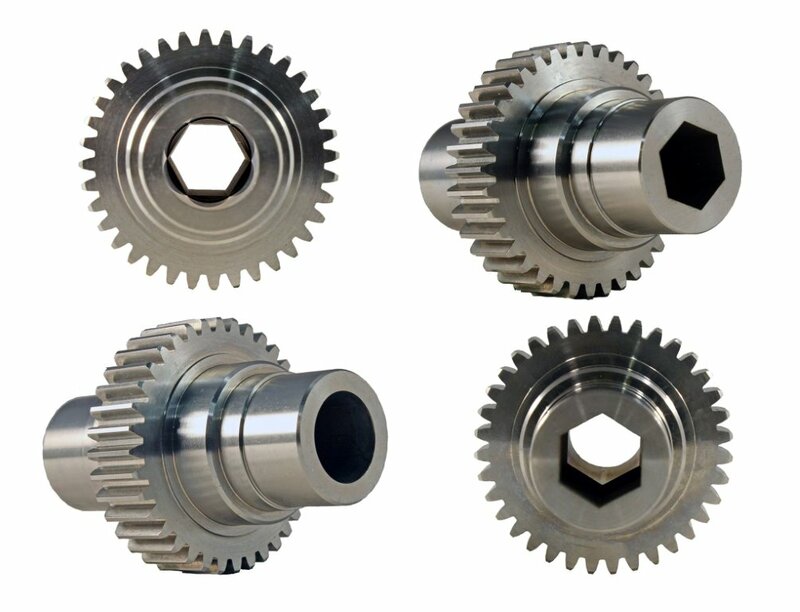 HM Manufacturing is a manufacturer of custom gears produced to meet all your specifications and requirements. 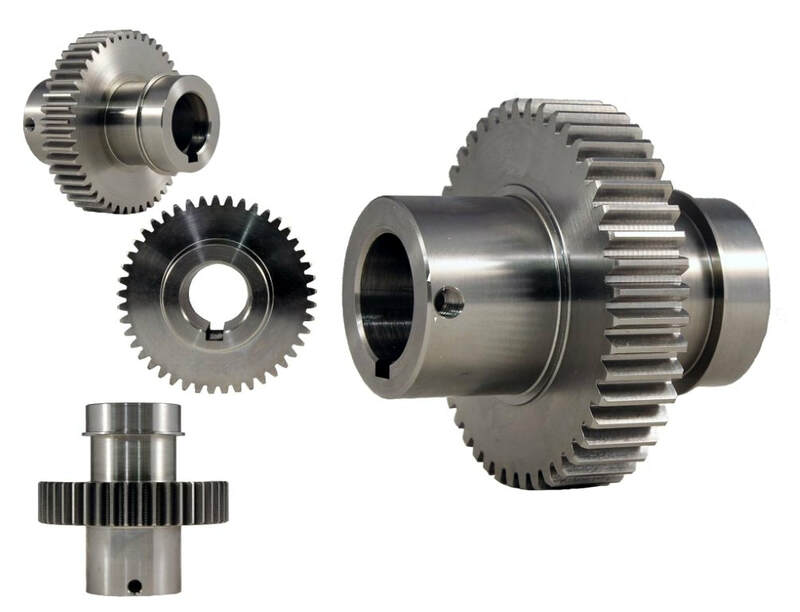 HM gears, are a reliable product to transmit power and to change the speed, torque, and direction of a power source for all your individual applications and needs. Our highly experienced team and state of the art facility allow for high volume production runs, prototypes and above all, quality gears. ​​Our modern inspection department and quality control methods assure all products conform to your standards and are made to optimize production. ​​At HM we produce helical gears, spur gears, chain gears, internal gears and pawl & ratchet gears. 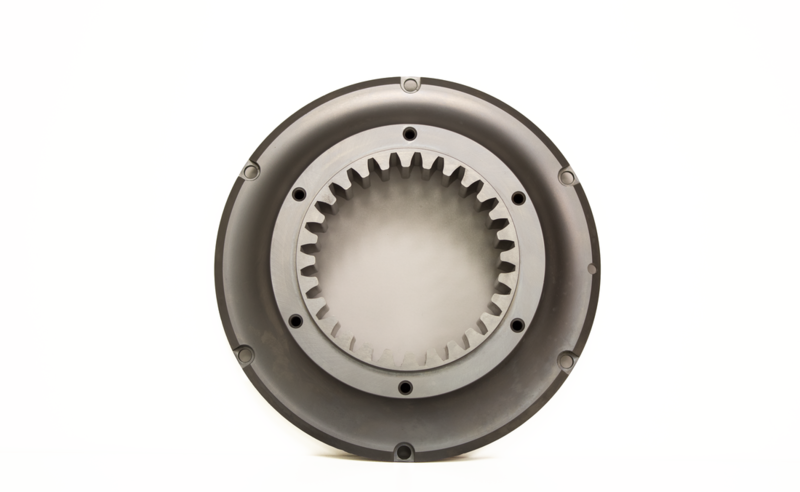 Custom Gears can range in size from 3/4”-24” and are available in multiple pressure angles. Spur Gears are used specifically to transmit rotary motion between parallel shafts, while maintaining consistent speed and torque. The involute tooth form allows high precision and tight tolerances to be achieved. A spur gear is a straight cut gear, parallel to the bore and rotating axis of the gear. Spur gears are the most common & cost-effective, and provide efficiency to transmit motion and power between parallel shafts. ​Chain sprockets are a profiled gear with teeth that mesh with a chain to form a single unit. At HM we produce bushed sprockets, steel split sprockets, double single sprockets and Idler sprockets/Chain tensioners. 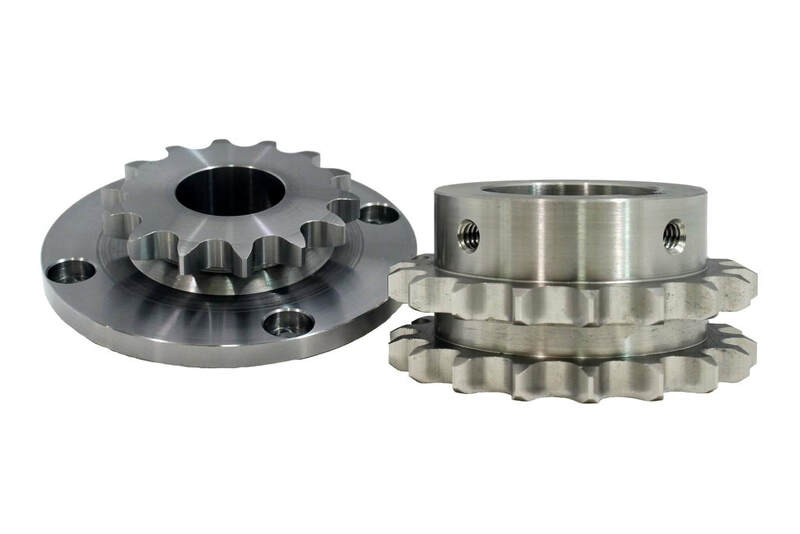 A chain sprocket is mostly used for applications in automotive and machinery to transmit rotary motion between two shafts where gears are unsuitable. Chain sprockets also have the advantage of being nearly silent while also have the capability to be run at high speeds. 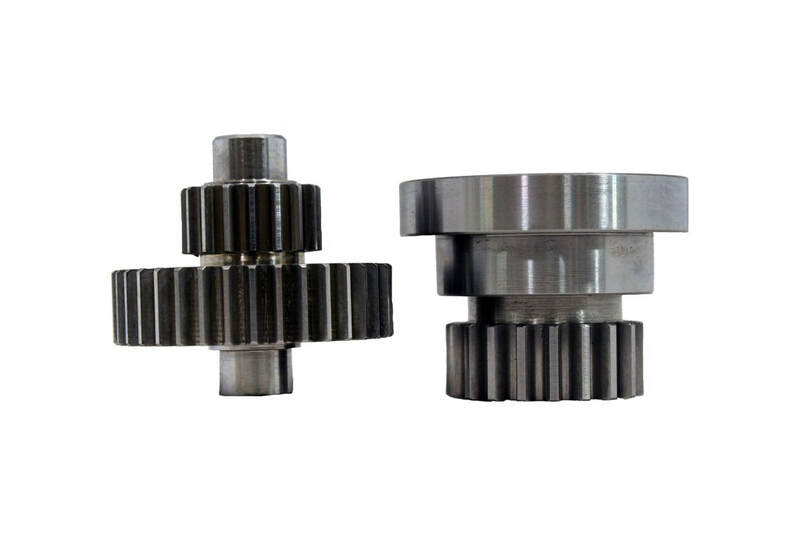 Ratchets composed from gears are typically round and are made of uniform but asymmetric teeth. The pawl is pivoting, spring-loaded finger that engages the teeth and keeps the unit moving in a single direction. Together the pawl and ratchet transmit power moving in one specific way. 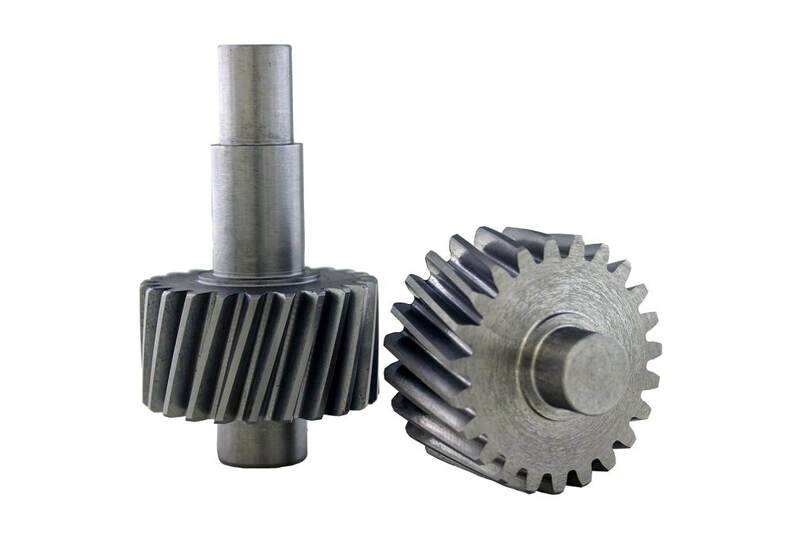 Pawl and ratchets are usually used in the aerospace and automotive industry, or for any application in which the gear is only supposed to rotate in one direction. Blanket orders for Custom Timing Belt Pulleys eliminate lead times. A single pulley purchase order is far more economical than many purchase orders. We want to help you with cost certainty as product price remains fixed throughout the term.